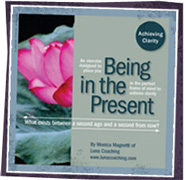 Achieve more clarity with this free MP3 meditation download. In just a few minutes, you will ground yourself and understand who you really are and how much you have already accomplished. Achieve more clarity as you glide through life with ease.